BrakesZone provides auto suspension repair when there are issues with your steering and suspension. These components do more than just provide a comfortable and enjoyable ride – they work together to help keep your vehicle handling securely. A properly maintained steering and suspension system keeps you in control of your vehicle. Stop in to your local BrakesZone® to have trained technicians make sure all systems are functioning properly. The best way to identify a steering and suspension problem is to have BrakesZone® perform a free alignment check, which allows us to inspect all steering and suspension parts. 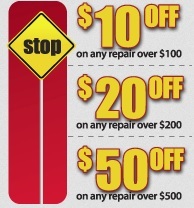 Looking to save on your next auto suspension repair? 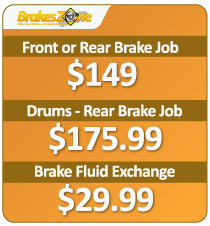 BrakesZone offers great savings with our auto suspension shop coupon to help you save even more! Print it out and come on by to your local BrakesZone shop. Check out our great money saving coupons. See specific store location for more details.